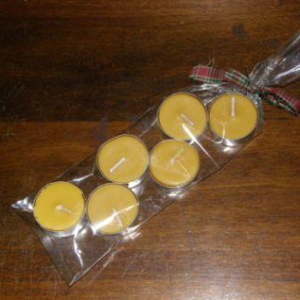 These 100% pure beeswax tealights come in packages of six (6). Beeswax tealights should burn longer and hotter than regular paraffin tealights. Typical burn times are between 3-4 hours. No fragrance added.